Guidebook writers started using the term “institution” in the last few years, but Des Cooney isn’t interested in that. “It makes you feel old,” he says. He is sat in his office under the stairs at Knobs & Knockers, surrounded by small boxes, no inch wasted. Upstairs, his son Dave Cooney works at the counter, watched by lions’ heads rendered in antique brass. There are knobs across the walls alongside enough locks to make the nervous sleep well. Des Cooney first opened the business in 1972, around the corner in 13 South Frederick Street South. In the beginning, they sold all kinds of louver, hall, and fire doors from England as the Louver Design Centre, he says. He came to doors after studying architecture. “After about two years, business was good and we felt strong enough to go directly to the manufacturers in Canada,” he says, across a table stacked with plans and ledgers. The shop soon moved to 25 Nassau Street and launched as The Door Store, beside where Eason is now. 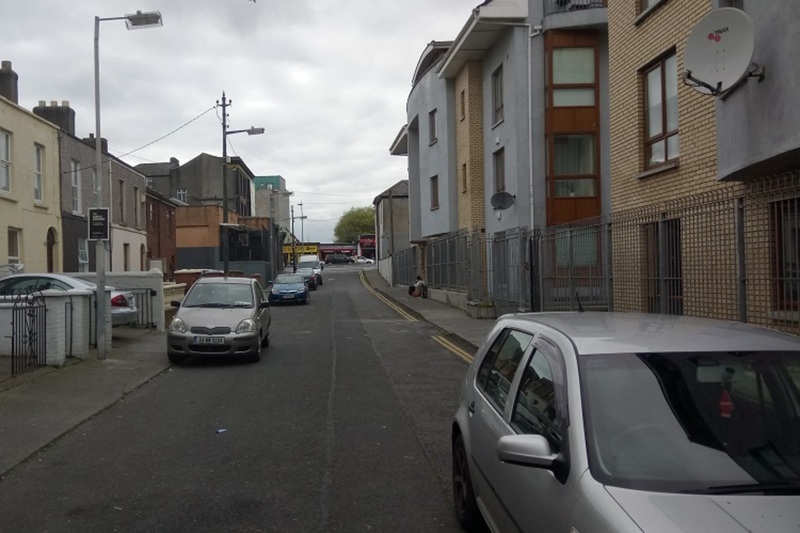 When that building was set for development, they crossed Frederick Street to take up 19 Nassau Street in the early 1980s. “People came from all over the country to see the doors,” he says. 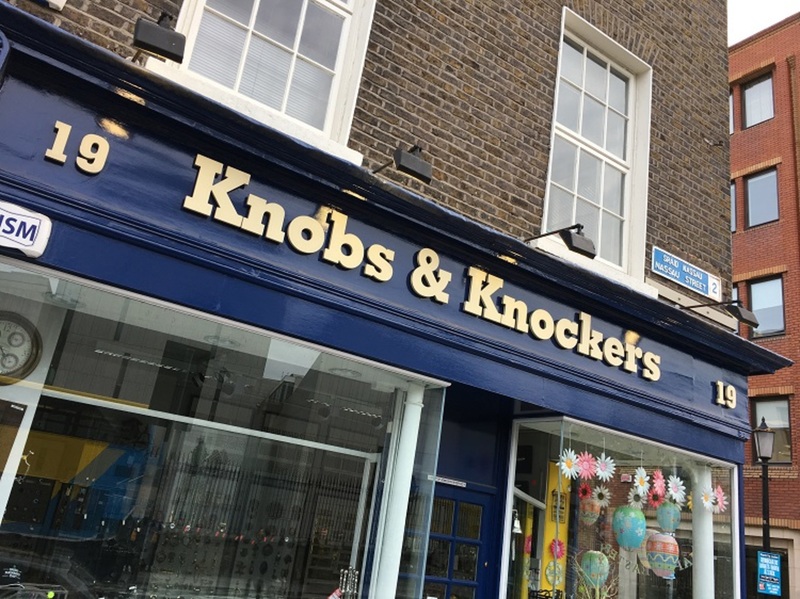 After a while, there just wasn’t the space for stock, so he moved the door business out of the centre and he kept selling the smaller items: cabinet handles, door handles, knockers, and locks. Back then, Nassau Street was one of the cheapest parts of the city, says Des. It was “shoe shops, fabric shops … the usual number of coffee shops”. In the mid-1990s, though, the street became a major artery for shoppers and visitors, he says. The shop has been a site of mention for years. It was enough of a fixture that it appears in Ulysses; in Bloom’s day it was Maurice Solomon’s opticians. Being in the same place for 35 years cements a connection to people and families in the city, Des says. Often shoppers come because their parents bought all their handles there. Irish homeowners in London have even phoned in orders, after working out that a couple of handles can cost £500 over there, says Des. Interior decorators and architects consult with Des on how best to plan out the locks, doors, hinges and handles for a house. Others are looking for replacements for original fittings. Or for old fittings to be restored. 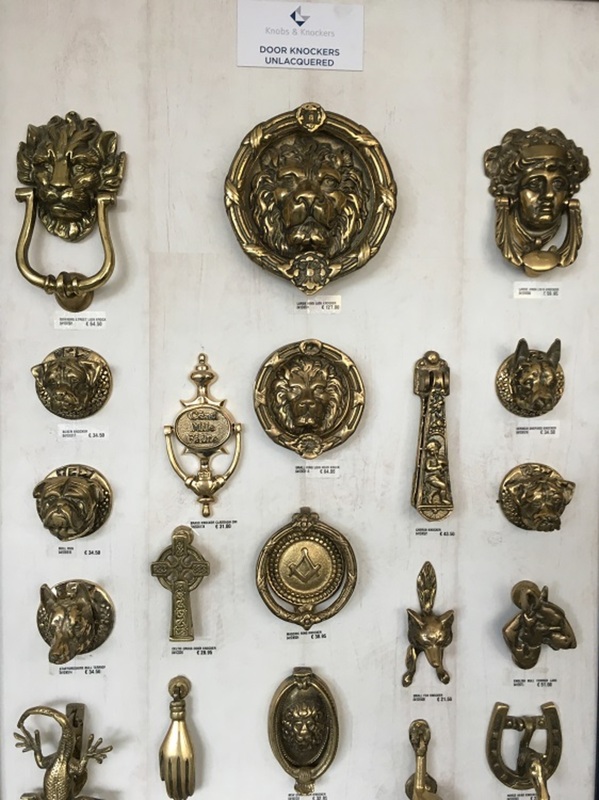 Antique brass is popular, and better for the environment than the satin chrome or polished nickel found in new builds. They can “take it in, restore it and re-spring the letter blade, strip back all the old grime on the brass fittings and polish them up so they’re like new again. 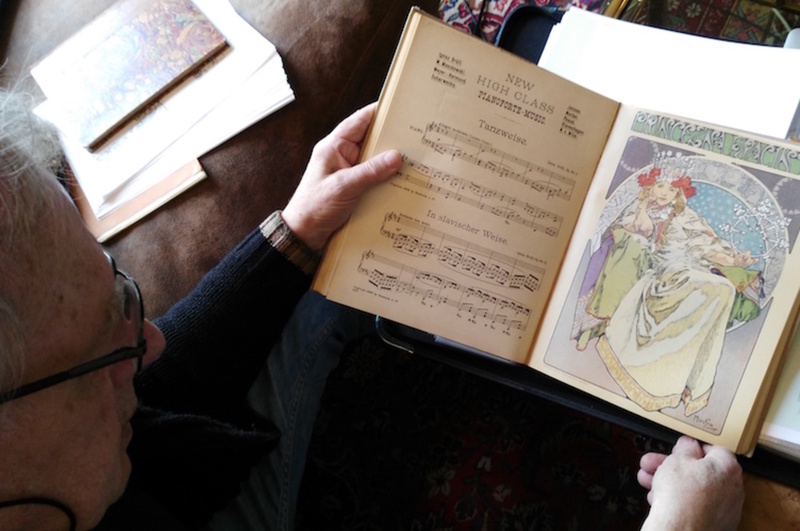 Because a lot of the time they’re unique and they’re part of the heritage of the house,” he says. Des is passionate about architectural ironmongery. “The job of ironmongery is compartmentalising a building and making it function,” he says. The lock has to fit the door, like a crown on a tooth. The handles need to match the locks. As so much retail has moved online, it has created headaches for customers left without support when locks fail or screws are lost, says Des. 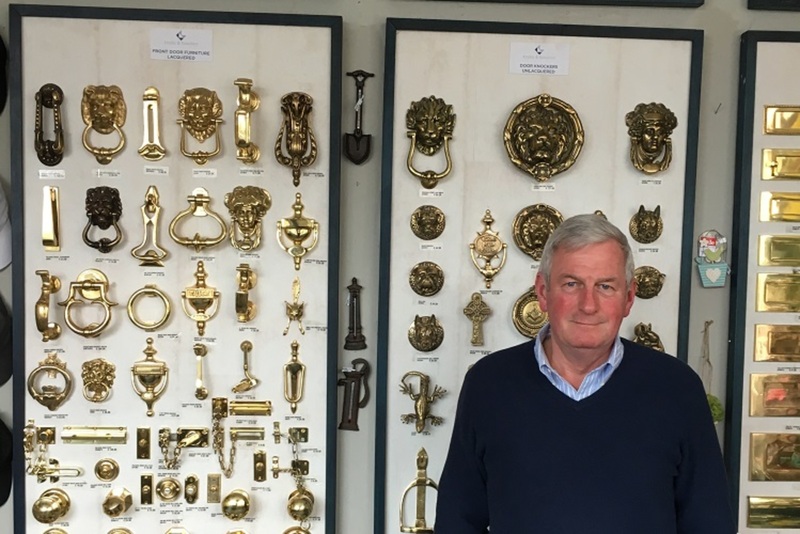 After more than 30 years, Des takes a long view of the ironmongery business. By and large, little has changed in recent times, he says. He has worked on one house that can be opened and locked with just the owner’s mobile phone. But even this 21st-century home needs a key for when that goes wrong. “The quietest time of the year for an ironmonger is Christmas,” he says. Des would see crowds walking up from the bus or train at Merrion Square or Pearse Station to the shops on Grafton Street, but they would never cross his door. “They wanted the dust, the builder and the dirt gone, and they wanted to put up decorations … so I started dabbling in giftware and it became a monster that had to be fed,” he says. Many of the gifts on display today stem from Des’s interests in wine and sailing. The wine aerators and nautical ornaments are popular, he says. So are Christmas decorations, and a neck-shaped hot-water bottle was a surprise bestseller. Des knows that the stocking gifts confuses some people who stop by. But without it, the shop would be starved over the winter, and this way it serves airport-bound bus travellers with replica knockers, ornaments and souvenirs. Each decade brings changes to the street, and the Luas works of recent times are having their impact, says Des. 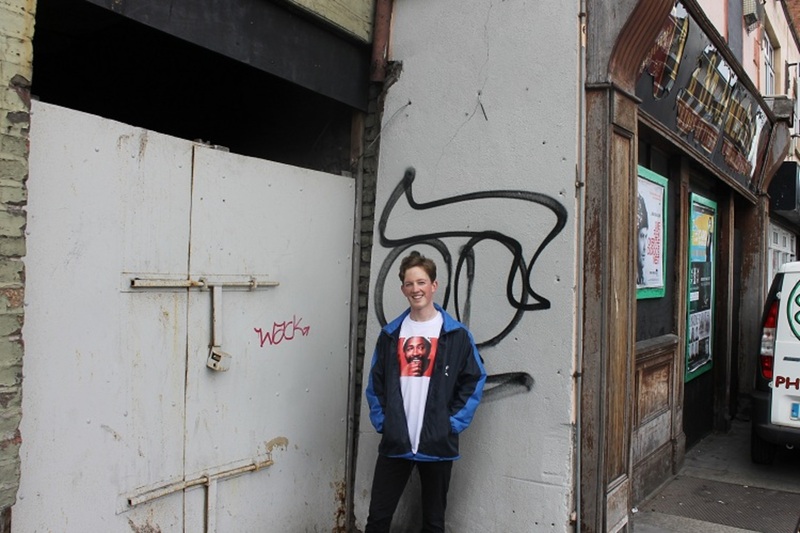 “If someone is going to renovate their house and meet with their architect and builder then they want to do it all in one day, and the Luas works will make people think twice before heading into the city,” he says. Hardware chains like Ecco and Hafele sit on the edge of the M50, awaiting customers who might also baulk at the price of parking in the city centre. Local traders first voted in 2011 against a Dawson Street stop for fear it would harm their business. 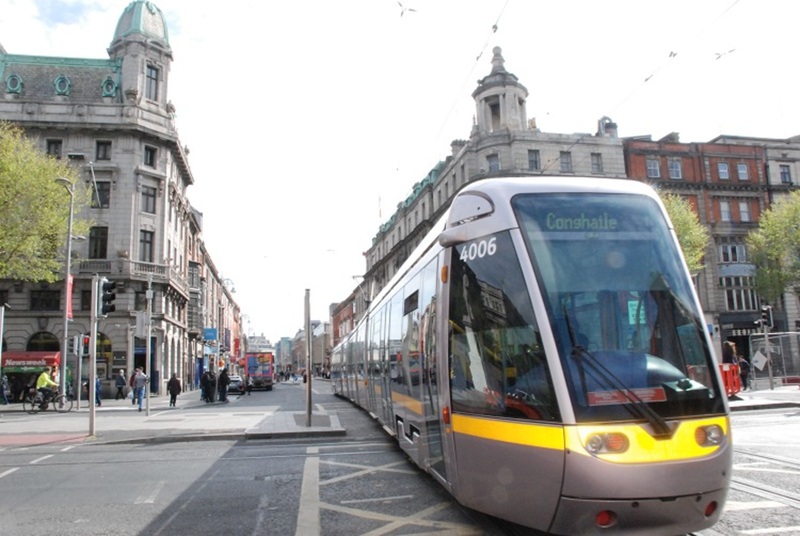 Later, though, a majority of restaurants and retailers rallied and a stop has now gone up, ready for when the Luas starts to run, which is scheduled for later this year. “People have gotten out of the habit of coming into the city and they’ve got to get back in that habit again,” says Des. The hope is that any customers who might have retreated to edge-of-town competitors or stayed home will return when the dust is gone. 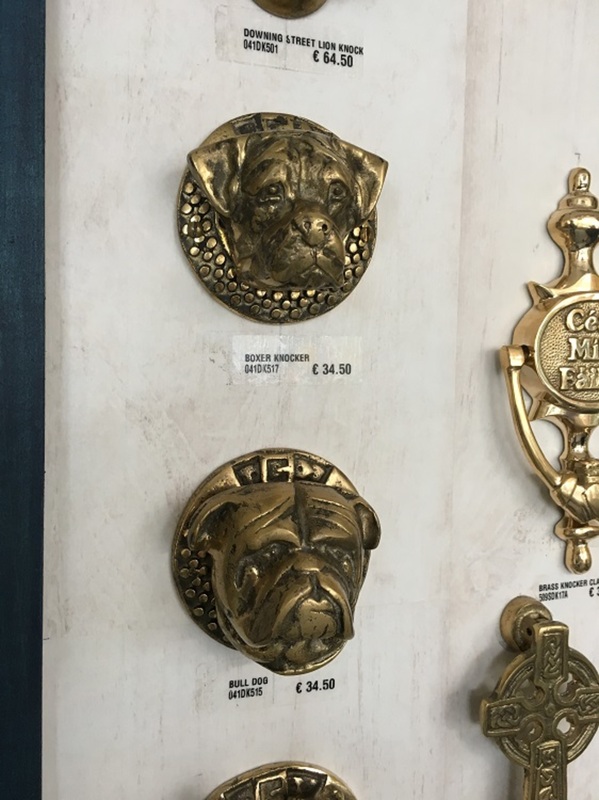 They need to actually make some door ‘knobs’ and ‘knockers’ – the UK stag and hen crowd would love ’em.